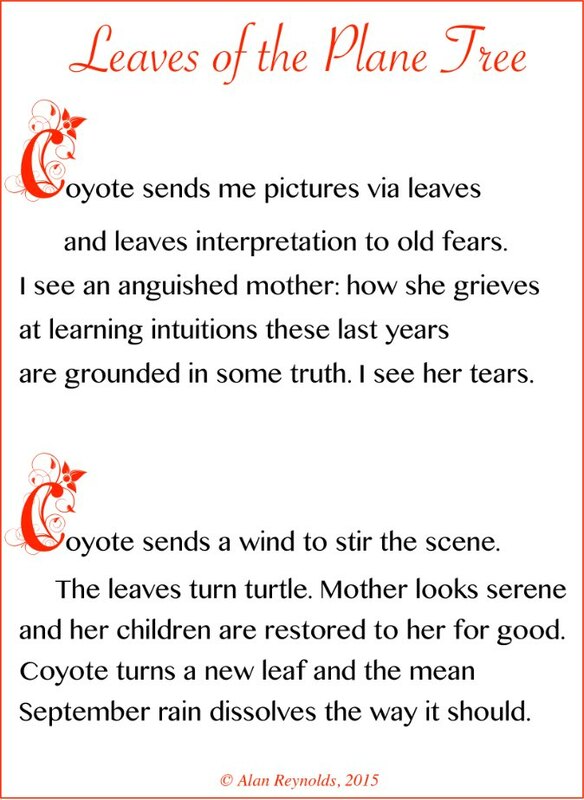 This entry was posted in Poems by Alan Reynolds and tagged Autumn, Coyote, September by Alan Reynolds. Bookmark the permalink. This is lovely. It reminds me of some Native American poetry. Thank you, Elise. Coyote, that mythological trickster, often slips into looking like my muse. Thank you, Tom. I appreciate your visiting here, reading this, and commenting!